← Winner of the Catherine Mann giveaway! A couple of months ago, I read a post on literary agent Kristin Nelson’s blog which said that the median salary for a writer in the U.S. is higher than the national average. It got me thinking about my own English degree, and how clueless I was about career opportunities when I decided to study for it. This week I got to see my best friend/college roommate for the first time in three and a half years. Andie’s an ER nurse in Northern California, though when we were at UCLA together she studied Communications and World Arts & Cultures. Never in a million years could I have seen her going on to nursing school. Like me, she was drawn to classes where answers were subjective and anyone could be right, as long as they argued their point well enough. For logistical reasons too boring to go into, Andie and I met up in Palo Alto, home of Stanford University, on Wednesday. As Smarty Pants and I waited for her to arrive, we walked around Stanford’s campus. Being book nerds, our two main stops were the library and bookstore. When we got to the bookstore, I immediately headed downstairs, where the coursebooks are. One of my favorite pastimes as an undergrad at UCLA was browsing all the books set aside for courses I wasn’t taking. I loved seeing what novels different English professors put together in their special topics courses. 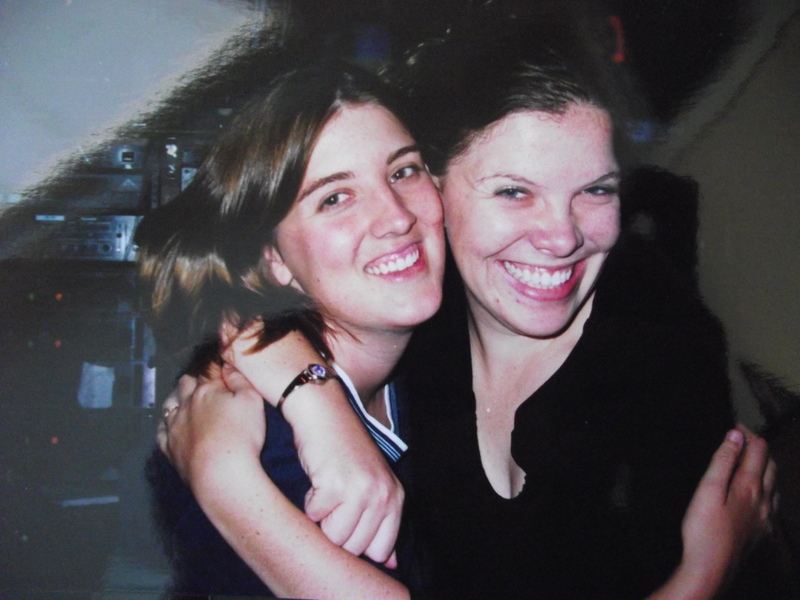 As I browsed Stanford’s bookstore, it hit me that Andie and I were seniors exactly ten years ago. This time a decade ago, with only six months left to graduation, I realized I had no idea what I could do with an English degree. Yes, I’d chosen my major because I wanted to learn about storytelling, but was clueless how to support myself with a storytelling degree. I panicked a little, but then I explored all my options. I discovered I had a lot more options than the “What’re-you-studying-such-a-useless-subject-for?” science majors led me to believe. For those of you studying English now, I hope this is helpful. Probably the option my parents would’ve loved, as long as they didn’t have to pay for it. 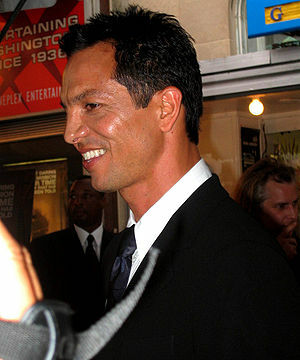 I started studying for the LSAT (the law school entrance exam), but if I’m honest the only thing drawing me to law school was my addiction to the TV show Law & Order, and the fact I wanted to work with cops as hot as Benjamin Bratt. I didn’t do very well on the LSAT, so I panicked again. I took the State Department foreign service exam. I actually passed, but didn’t find that out until months later, when I’d already chosen a different path in life. The foreign service exam – at least when I took it all those years ago – required a high degree of critical thinking and the ability to write clearly about complex issues. Perfect for those of us with English degrees. If you want to travel the world and you don’t mind making a career out of defending U.S. foregin policy (another area where I fell down), the foreign service may be perfect for you. I actually transferred to UCLA after doing a short film program and working for an independent film producer for a while. My plan was to go to film school after spending a couple of years learning how to craft stories. The last decade must’ve atrophied my brain, because for the life of me I can’t remember why I didn’t go through with this. You could spend more time in school becoming a qualified teacher. I didn’t want to do that, but one of my good friends did. She became a high school English teacher but quit after a few years. I applied to teach English in Japan (along with Andie), and we both got interviews. It ended up being the most God-awful, appalling, humiliating, humbling experience I’ve ever had. I also applied to the Peace Corps, and was accepted, a decision I ended up revoking after moving to Prague and meeting Smarty Pants. This is the option I took in the end. I moved to Prague, did a month-long intensive TEFL course, and got a job right away. It was a great way to kill time while figuring out what to do with my life. If you think acadamia is the life for you, grad school may be your ticket to life as an eternal learner. This is the option Smarty Pants took after he finished his English BA in London. One of my good friends from my English program did Columbia’s Publishing Course the summer after we graduated. She still lives in New York and works as a editor. In my junior year at UCLA, I got on the Daily Bruin’s training course. My first story was riddled with errors and the journalist teaching the course used me as an example of what not to do. There ended my career as a “real” journalist. You better believe I check, double check, and triple check all the stories I write now. I wouldn’t count on it being your career straight out of college, unless you have an amazing story to tell. I didn’t. I had to live a little first. I eventually stumbled into this career, and I absolutely love it. I write and edit content for a philanthropic organization’s website and social media. Many of my friends at work used to be newspaper journalists who got tired of it and switched to charity PR. These are jobs that require you to write clearly and to adapt your tone of voice to your audience and employer. What a great way to improve your writing skills. Do you have an English degree? How has it helped your career? Hi there, great post! This is one of the reasons that I went for a Business degree when I went back to college as an adult. Then, I have pursued business related master’s degrees as well–have one in HR Management, and am working on finishing another one in Nonprofit Management. Kids entering college should really be counseled about their futures–heavily. With English degrees, along with other similarly situated degrees such as Psychology, Sociology, Anthropology, Music, etc., etc., one should really plan on being in it for the long haul, i.e., a PhD in that subject. Then, you can use your knowledge. Otherwise, sadly, most folks do end up forced to take jobs in other lines of work to pay the bills. Unless they are wealthy, of course, and in that case people have the good fortune to be able to pursue their educational passions! It is always difficult for people with those types of bachelors degrees to find employment, and that goes double when the economy is tanked. So, my vote, although I do not have an English degree, is more education–that’s the best option. Oh yeah (raises hand)–English degree here. I double-degreed in journalism and did the newspaper crime reporter thing a couple of years. Ick. Ended up in higher ed publishing and six universities and a billion years later, here I am. It’s a good way for an English major to make a career. Yeah, I got an English degree. I wasn’t supposed to actually DO anything with it other than impress people at fancy coctail parties with my erudite comments. Alas, since I married a regular person and not someone who was invited to a lot of posh gallery openings and charity balls where I was sure to shine, I actually had to put that degree to work. 1.) High School Teacher–couldn’t escape that nightmare fast enough–everybody HATES English in high school–at least in my classes. 2.) Insurance company data input–luckily this required the IQ of a lab monkey (and not a smart one) so I did well, but I was bored. 3.) Credit & Collection clerk–awful, because I kept feeling sorry for the poor people I was harassing. Lasted about 3 months. 4.) Construction secretary to a big builder–got in trouble for smarting off. Go figure. 5.) Commercial artist. I think you have to have talent for that–other than smarting off. Then FINALLY my semi-Mr. Smarty Pants finished his military stint and got his degreee, so I could be a real person (and play golf and tennis and bridge–all of which I was good at because when I lost, I had that vast vocabulary of dirty words to fall back on). 6.) Then I started having babies and lost a lot of brain cells (probably the diaper pail). 7.) and finally, now that I’m retired and don’t have to make money or be smart or even get out of my robe–I’ve decided to become an almost nearly semi-famous author. Not sure the English degree helped, but the journey to get here made me a lot smarter than I was out of college. I guess.